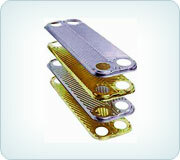 We are an ISO 9001-2008 certified Designers, Manufacturer and Exporter of all types of Brazed Plate Heat Exchanger (BPHE) in India, Established in the year of 1989. 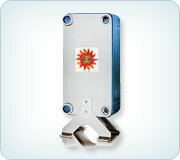 We are a genuine, reliable and durable Cooling Solution for all types of industries in India as well as overseas. 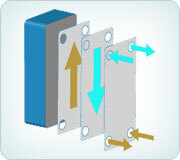 BPHE Construction : Compact BPHE is constructed like a plate package of corrugated channel plates with a filler material between each plate. 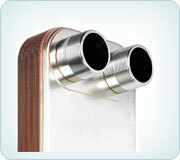 Our heat exchanger is Cost-effective, healthy solutions to facilitate save space, and energy across a broad range of applications. 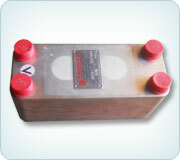 JC Equipments standards such as ISO 9001-2008 (Quality). 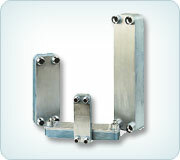 Our heat exchanger were manufactured in the company of experience and capability from a broad range of applications in many different climates. 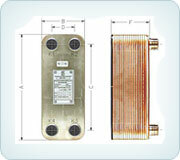 JC Brazed Plate Heat Exchangers are efficiently provide cooling water for air conditioning. JC BPHE proven established to deliver high performance with cost effectiveness. 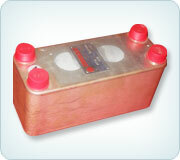 JC Equipments are Optimized and customized of BPHE. We aim to make the most of the performance and lessen the amount of material used. Simplify maintenance and repair of BPHE.